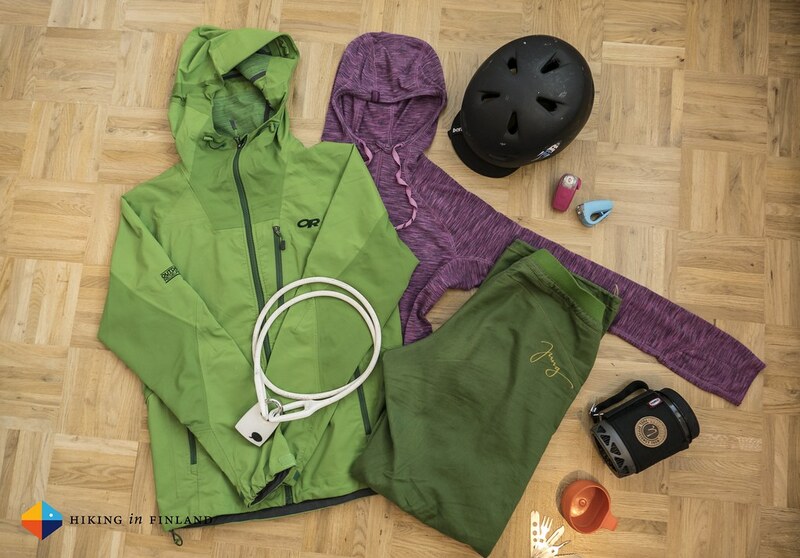 Bite-sized gear reviews, autumn/ fall edition. 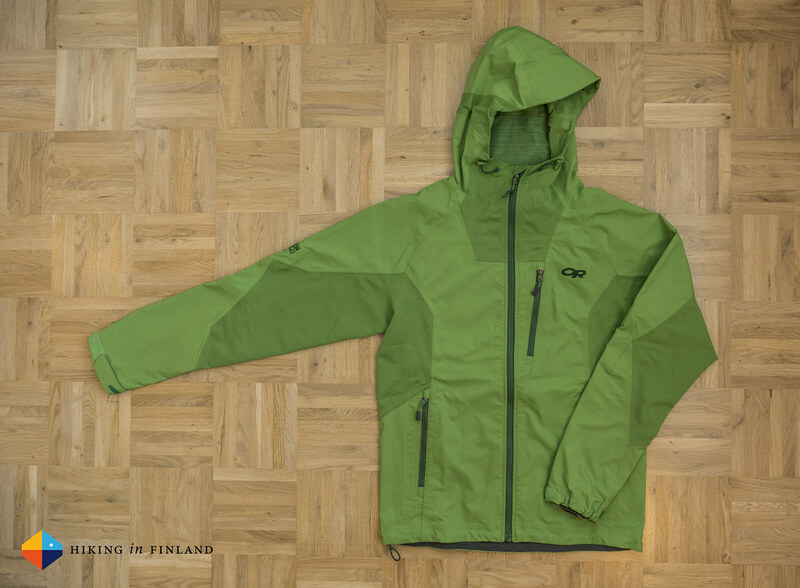 The Enchainment Jacket has been my jacket of choice on the UL Summit 2013 and many hikes before and after. It’s a very water-resistant softshell that can withstand the abuse of carrying a backpack, scrambling up hills and bushwhacking through dense undergrowth. Schoeller NanoSphere panels on the sides add breathability & freedom of movement while the softshell fabric that’s used in the sleeves and torso keep the wind & rain outside and me toasty on the inside - but not too hot & neither too cold. The pockets are a tad small to take in a standard map but carry gloves & beanie without problems while the triple adjustable hood ensure clear views also in a downpour. / 469 g in Size S.
And the prize of the comfiest climbing pants of 2014 goes to: JUNG! The emil from JUNG is not just super comfortable and stylish, nope, it is Designed in Cologne, sewn in Poland from Global Organic Textile Standard certified organic cotton and comes in very limited runs. I love the stretchy waistband which is so comfortable you might think you’re naked, it’s a revelation. The deep pockets securely hold everyday items in them while the adjustable trouser legs are ideal for climbing and bouldering. This was the only pants I wore on the Petzl RocTrip and despite six intense days of climbing & travelling it still looked the deal for the last Party on Saturday night. 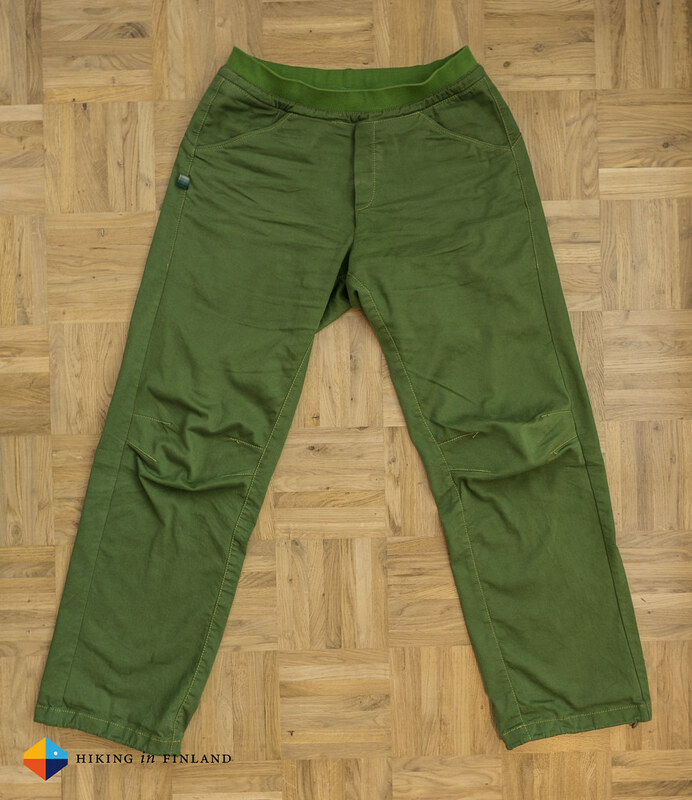 JUNG designs some super nice climbing trousers for women and men, so if you’re in the market for one - check them out! / 413 g in Size XS. At 802 g for the adidas Terrex Solo pair in Size 41 1/3 the shoes are reasonably light. What makes this shoe special for me is the Stealth Rubber sole, which is the same rubber Five Ten uses in their climbing shoes. And as this is an approach shoe it makes sense that this shoe has such a grippy sole, because it means you can leave your climbing shoes longer in your pack. And if you’re out for Via Ferratas you’ll love these shoes, too - they give you grip on metal ladders and dry & wet rocks alike. 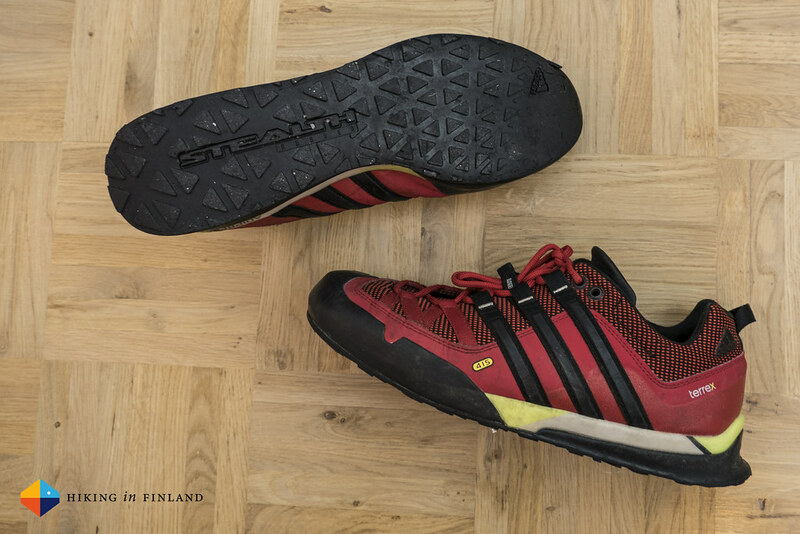 I wore these shoes on the Petzl RocTrip and my three week climbing road trip in Finland and look forward to using them again when the snow is gone. My only concern is the durabilty - because of the super-sticky sole the rubber is already starting to leave in the toe area, and I am curious to see how long they will last. 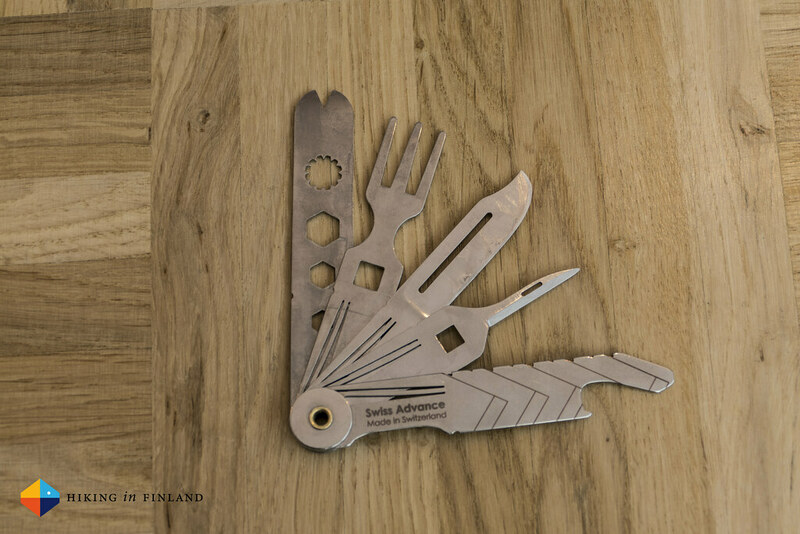 The Primus Lite+ was our stove of choice on the High Coast Trail in Sweden. 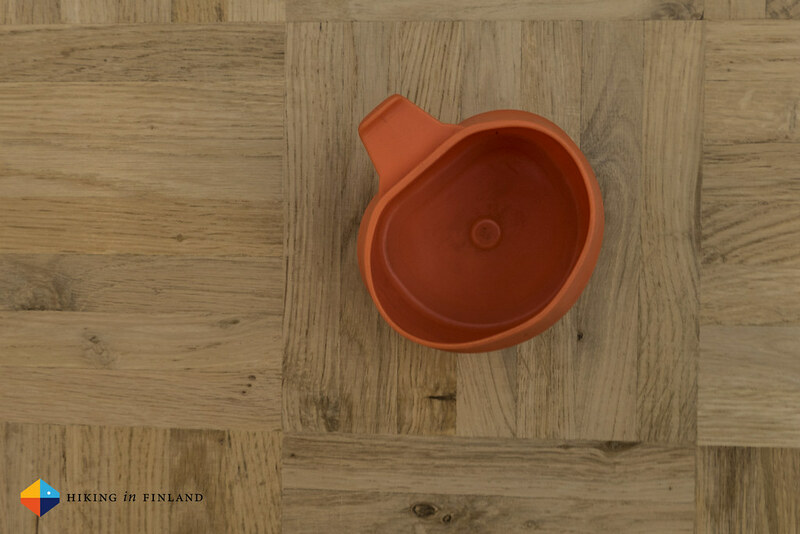 It boiled up to 600 ml of water in less than five minutes and was efficient in gas use. 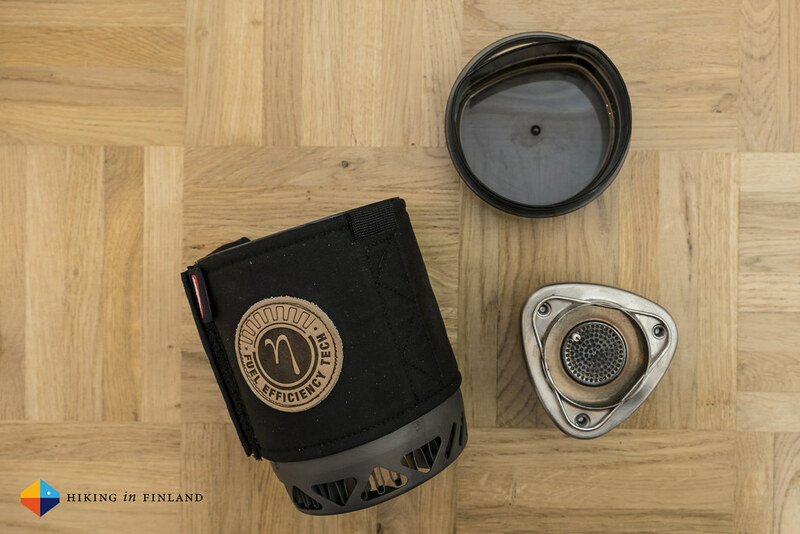 A 100 g cartridge fits inside which makes this a very compact and light system indeed: It is 399 g for pot with sleeve & lid and the stove. The stove has a piezo ignition which means you don’t need to bring a firesteel or lighter along, and the new connection between pot and stove is easy and efficient. The sleeve ensure you can hold the pot with boiling water without problems, and you can put the handle over the top and then hang the whole set. And if you’re wondering, because of ™ issues Primus has renamed the EtaLite to Lite+ in 2015. 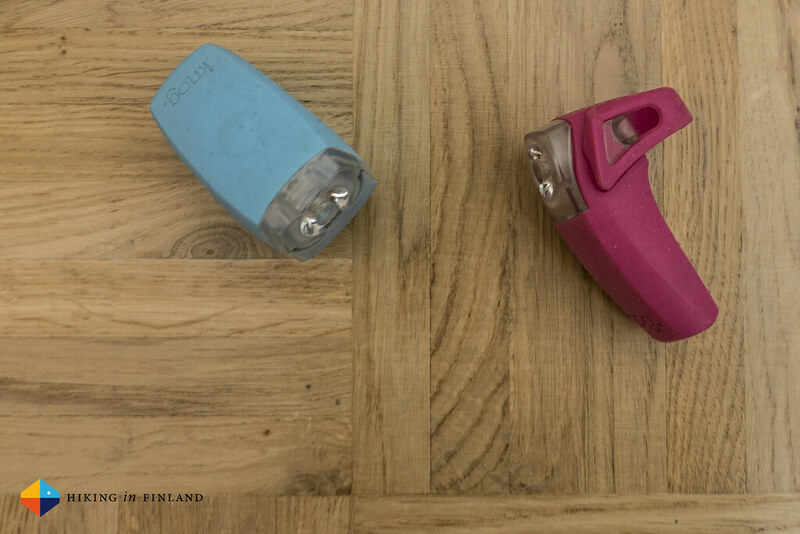 Expect a more detailed review & video about the Lite+ later this year. 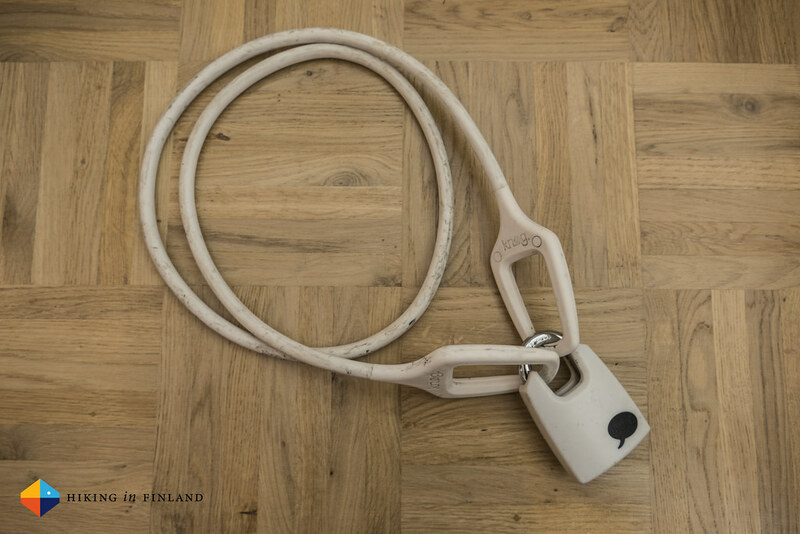 3€, available at Bergfreunde.de and CampSaver.com. 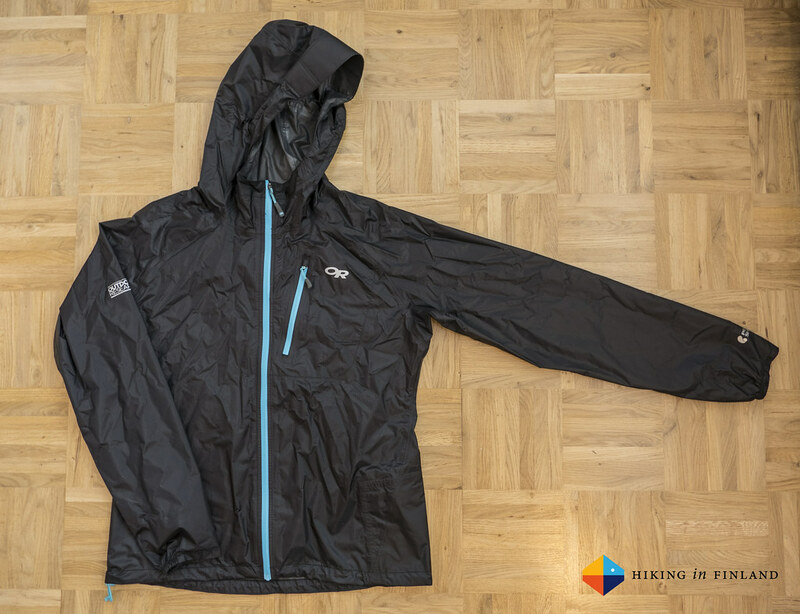 This very lightweight jacket packs small in its own chest pocket when not needed and weighs a scant 159 g in Size M. It is waterproof though after an hour in heavy rain it leaked a bit, but for a spring or summer shower that shouldn’t be a problem at all. And it works as a great windjacket, too. My wife really liked the stylish look with the coloured zippers making it stand out, and it was simple in use but doesn’t lack anything - the sleeves that are tight from the wrists with no adjustments needed. It’s a womanly fit that’s not too loose but you can fit two layers comfortably under it (probably even three if the third one is a top). 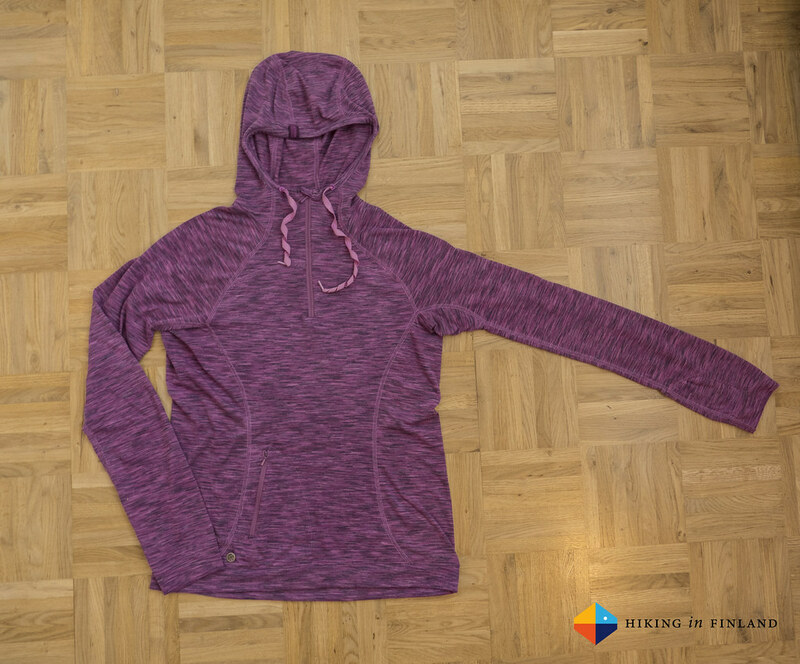 The Women’s Flyway Zip Hoody is a versatile shirt that you can use for many different sports and also wear it in the city because of the neutral & stylish look with the feminine fit. The fabric is neither too thick or too thin and feels smooth and light on the skin which makes it comfortable to wear. 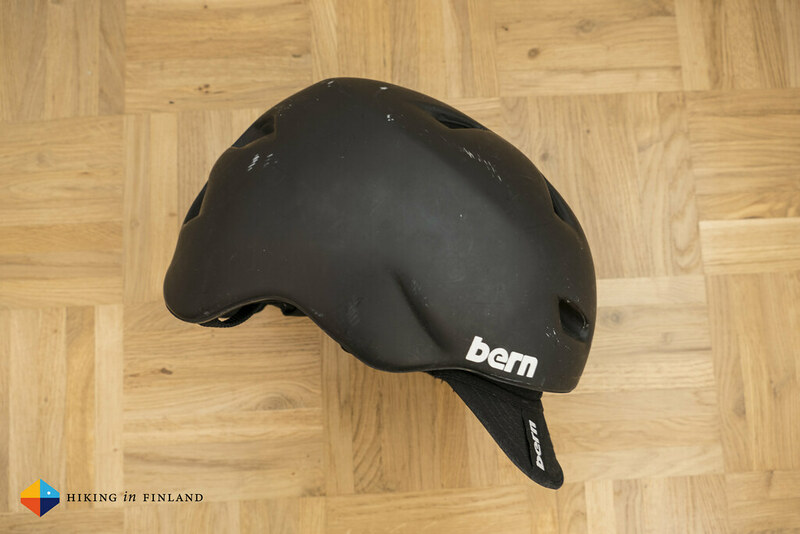 With 202 g in Size M it is light enough to use as a protector from the sun or as a layer, has a good breathability and it dries quickly. The hood and the long chest zipper help with venting while the thumbloops add a bit of warmth when its coller than expected. The small pocket stores keys, wallet and phone or a couple ot snacks when out running. 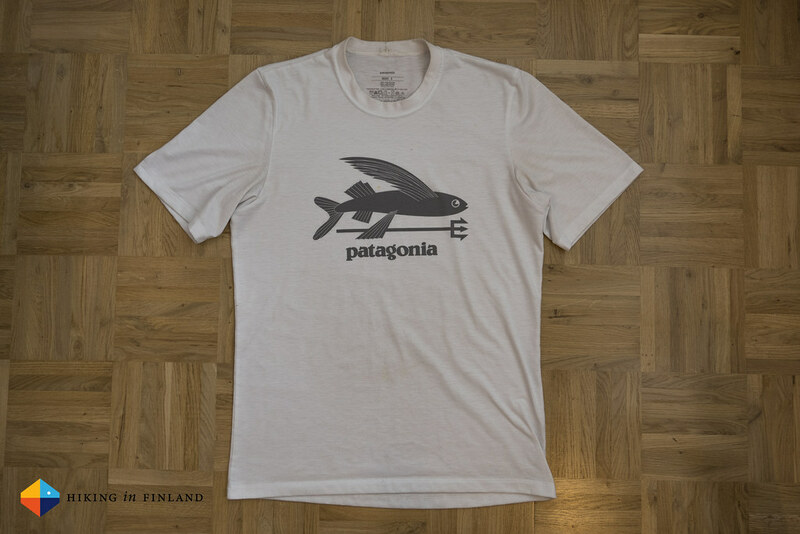 I bought the Patagonia Polarized Tee at the start of spring 2014 because I wanted a shirt that can be worn in the water (for packrafting and DWS) and on land, with a good UPF protection. The Polarized Tee fitted the bill, came in one of my current favoutite colours and also had a nice print on it (my son loves the print, too)! 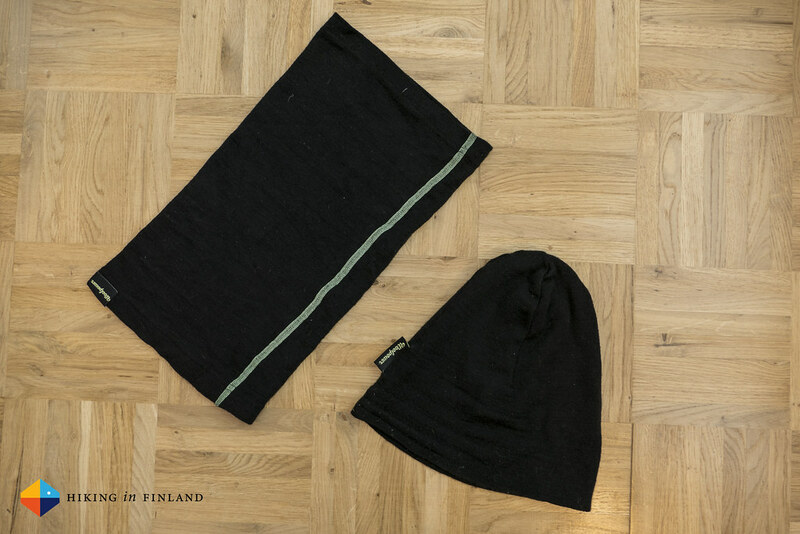 I can wear it for several days before it starts to develop a bit of a smell, then it just goes to the washing machine and is ready for another adventure. It ain’t as light as other hiking shirts at 159 g in Size S, but it’s still light enough to not bother me. The Lumen Liner Gloves are super-thin Merino wool gloves and you really shouldn’t do any hard work with them. Because they’re sensitive. And will break. I found them even too sensitive to cycle or walk with a pram, which means mine went broken at the finger tips. 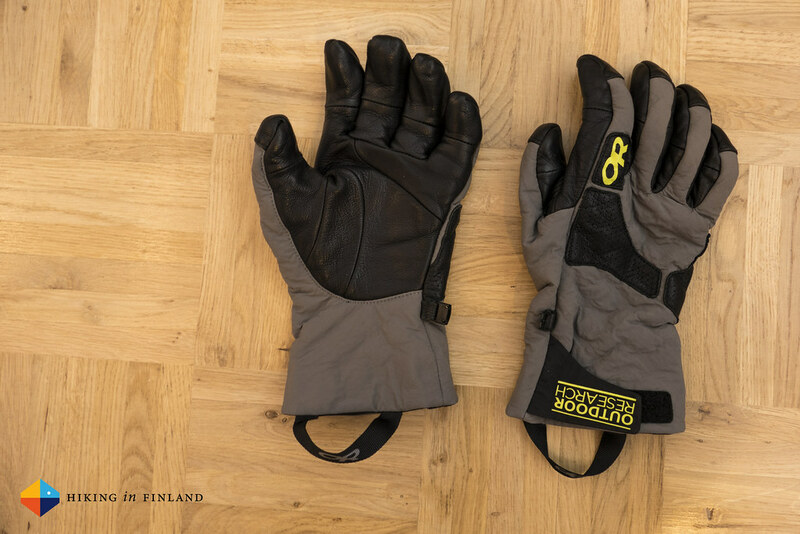 I still used them on the Högakustenleden last November where they were fine on the warmer days and when I needed dexterity and a bit of warmth, but they slowly are start to fall apart. It’s a shame as they’re warm and light. They’re no longer available, so you might want to look for the Biosensor Liners if you need liner gloves. 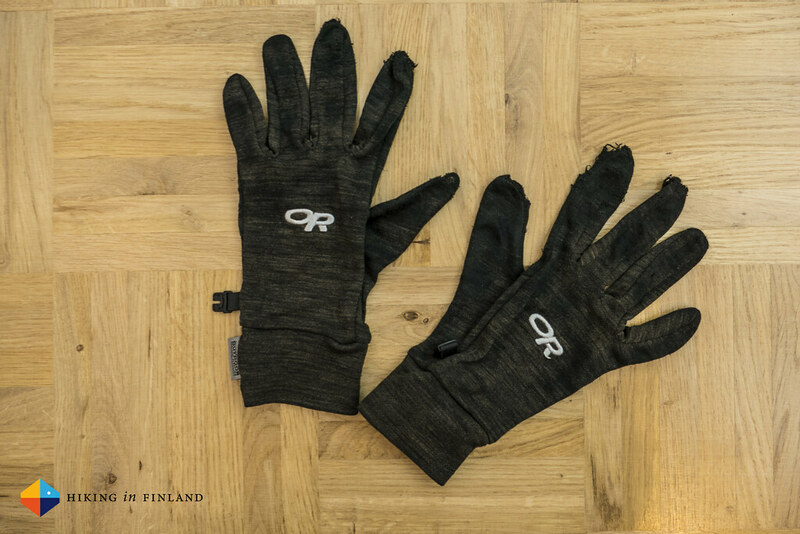 / 24 g for the pair in Size M.
I picked up a pair of Lodestar Gloves at the ISPO 2014 and have had them along ice climbing in Korouoma, Höstvesi and Abisko, mountaineering in Chamonix and was skiing with them just last week. They’ve seen also a fair bit of hiking and cycling here, and every time again I was happy to have such warm gloves along. They have a Polartec Power Shield High Loft filling which keeps my fingers toasty warm, while the leather palm ensure good grip on ice tools, ropes & belay device and the handlebar of my bike. When out ice climbing these are my dedicated belay gloves as they’re warm, have a lot of grip and allow for dexterity - an important thing when you are belaying your mate or rappelling. / 120 g for the pair in Size M.